A competitor's boat had a blue marlin on the line at the Roatan International Billfish Tournament when Capt. Loren Monterroso saw something about to go wrong: sharks had noticed the hooked fish and were circling in for an easy lunch. Giving up his chance to win the tournament, Capt. Monterroso quickly went to the marlin's aid and tossed out a line with a piece of tuna. He eventually lured the sharks away and allowed the competing boat to safely catch and release the fish. Although he did not win the tournament, Capt. 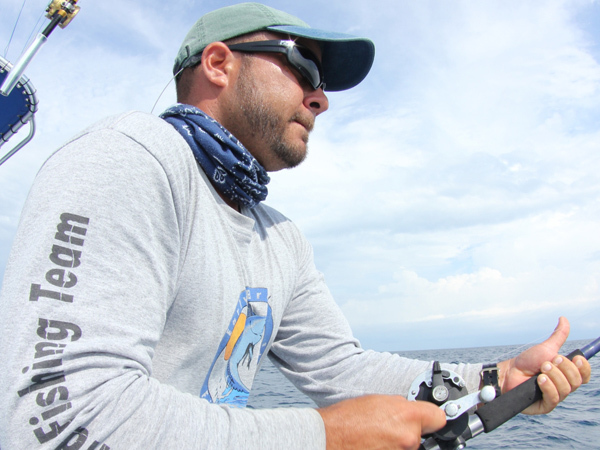 Monterroso's quick thinking and ethical decision won him the IGFA-Chester H. Wolfe Outstanding Sportsmanship Award, including an all-expenses paid trip on the 2012 IGFA Expedition to Costa Rica at The Zancudo Lodge, valued at $5,000. Tournaments and Official IGFA Clubs from around the world are invited to nominate anglers for this honor, and last year 20 fishing competitions shared stories like Monterroso's to highlight the best in fair play, graciousness, and respect on the water.